So this year brings you another London Bass Guitar Show and we'll be attending. 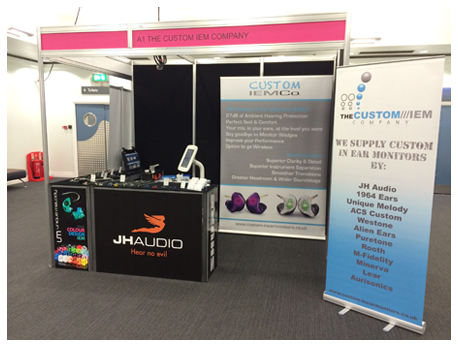 The Custom IEM Company will be there with 1964 Ears, JH Audio, Unique Melody and many more. 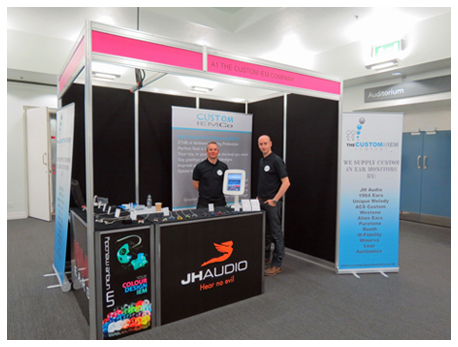 Come and see us for expert advice, demo sessions (try before you buy), ear impressions, custom ear plugs, show offers and much much more! We'll have on the stand the full range of Shure universal in ear monitors for you to play with, with some stock for immediate purchase at show prices or of course we can take mail order purchases also - Don't forget that we can make custom sleeves for the entire Shure range! In the meantime, for a chance to grab 1 of our 8 guest passes, follow us on Twitter and then just send us a mention that relates to the show, Simple!